As people increasingly turn to mobile devices for their Web consumption, Google has decided to revamp its keyword advertising service to make it easier for marketers to reach target audiences on different devices. Google's AdWords Enhanced Campaign aims to make it easier for advertisers to manage bids for ads across a variety of device platforms, locations, and times, the Web giant announced in a company blog post today. AdWords allows advertisers to bid on a given keyword and win premium placement with search results. Google's goal in retooling AdWords -- a chief money maker for the company -- is to boost its mobile revenue at a time when the Web giant has seen its cost per click fall for five consecutive quarters after two years of gains. Like Facebook before it, Google is grappling with how to get users to keep clicking on ads when accessing the Web via a variety of devices. "This is a first step to help you more simply and smartly manage your ad campaigns in today's multi-device world," Sridhar Ramaswamy, senior vice president of engineering, wrote in the blog post. A breakfast cafe wants to reach people nearby searching for "coffee" or "breakfast" on a smartphone. Using bid adjustments, with three simple entries, they can bid 25% higher for people searching a half-mile away, 20% lower for searches after 11am, and 50% higher for searches on smartphones. 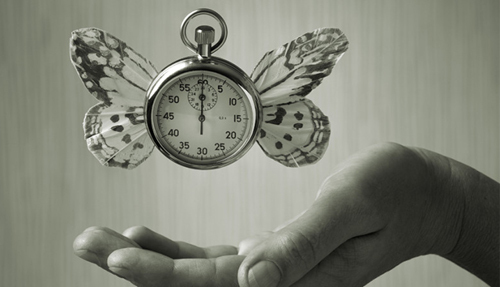 These bid adjustments can apply to all ads and all keywords in one single campaign. The enhanced campaigns will also feature ads that are optimized for devices, complete with appropriate ad copy, links, and app or extension, Google said. They will also allow companies to analyze the performance of their campaigns. The new tools are expected to roll out to advertisers during the next few weeks. Acer has announced the launch of Liquid C1 smartphone powered by Intel's Atom Z2420 chipset (codenamed Lexington). Powering the phone is a 1.2GHz single-core processor, but the amount of RAM isn't known yet. The Acer Liquid C1 comes with a 4.3-inch 960x540 display and 4GB internal storage, expandable of another 32GB via microSD card. Connectivity options include Wi-Fi 802.11 b/g/n, GPS, Bluetooth, Micro-USB. The phone comes with a 8-megapixel rear shooter with auto-focus and LED flash capable of burst-mode shooting of 5 frames per second. A 0.3-megapixel front camera is included as well. The phone runs on Android 4.0 Ice Cream Sandwich, with no upgrade roadmap shared. It comes with a 2,000mAh battery. The phone has been launched in Thailand as of now with Black and White colour options, and is expected to go on sale for a price of 9,990 Thai Baht or around 18,000 rupees. India's Lava had earlier launched the Atom Z2420-based Xolo X500. It is a dual-SIM smartphone, which runs on Android 4.0 Ice Cream Sandwich. The device has a 3.5-inch display with a resolution of 480X320. It comes with 512MB RAM, 4GB of internal storage, 5-megapixel rear camera capable of shooting 6 frames per second in burst mode. The phone is available for Rs. 8,999. Aircel Monday launched a product that offers users one rate for voice, SMS and data in home circles and on roaming. 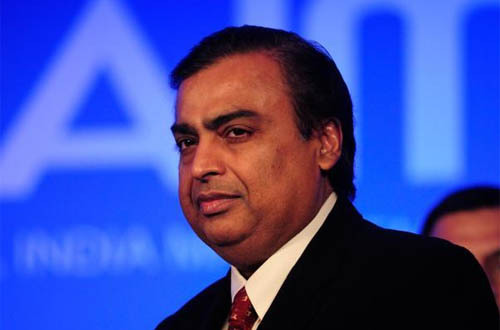 'One Nation, One Rate', offers one rate for voice, SMS and data in home circles and on roaming on Aircel network, the company said in a statement. 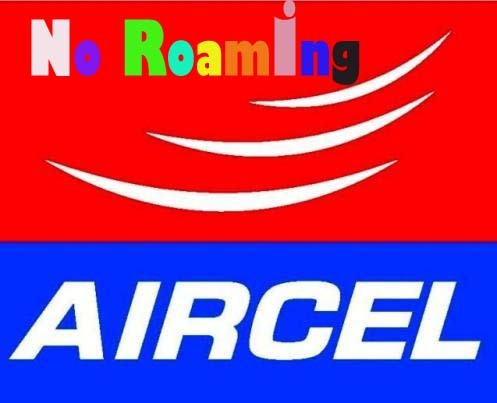 "Incoming calls while on roaming on Aircel network will be free," it added. Aircel users in Delhi can avail the service for Rs 39, while Mumbai subscribers have to pay Rs 32, the statement said. The price points for the service for other circles range from Rs 21 to Rs 59, it added. "...This product will enable Aircel customers to enjoy one rate for voice, SMS and data services in their respective home circles and even while they are on roaming," Aircel Chief Marketing Officer Anupam Vasudev said. The product will offer voice - (Local/National) calling at 1paisa/second in home circle as well as on roaming on Aircel network, while incoming calls on roaming will be free. SMS will be charged at Re 1 for home circle as well as on roaming while data users will be able to carry the home circle rate on roaming, the statement added. Close on the heels of the Xperia Z smartphone that was unveiled at the CES 2013, Sony has now announced the launch of its tablet - Sony Xperia Tablet Z. The Xperia Tablet Z is claimed to be a waterproof and dustproof tablet. The tablet features a 10.1-inch display with a resolution of 1920 x 1200 pixels. It runs Android 4.1 OS and is powered by a quad-core processor clocked at 1.5GHz. The new Sony tablet sports an 8-megapixel camera, which is claimed to be the first backside-illuminated sensor Sony has put in a tablet. At 6.9mm, the tablet is thinner than the Apple ipad Mini, which measures 7.2 mm thick. The Xperia Tablet Z is equipped with a feature - called "S-Force Front Surround 3D" - that brings together movement and sound to achieve a sense of spaciousness. The new tablet also supports LTE and NFC. It will be available in two colours - black and white. Sony says that the new tablet product is for the Japanese market. The company will launch the tablet in Japan this spring. However, there is no word on pricing or availability yet. WickedLeak has launched a new Android Smartphone—the Wammy Titan. The Smartphone runs on Android 4.1 Jelly Bean and features a 5.5-inch QHD display. The device is priced at Rs 13,000. It is powered by a 1.2GHz processor and 1GB of RAM. The memory of the device can be expanded via microSD slot up to 32GB. The device measures 144 x 89 x 12 mm and runs on a 2,500 mAh battery that the company claims will provide up to 8 hours of talk time and 260 hours of standby time. The Wammy Titan is available in black and white colours. "The different form-factor, features and price point makes Wammy Titan unique even in the 5.5-inch smartphone category which we expect will catch on once they become more widely available," said a company spokesperson at the launch. The Wammy Titan will be available for pre-booking starting Jan 19, 2013 on the WickedLeak Website. 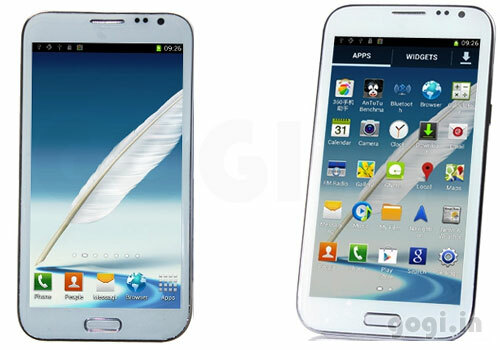 But hey, if you found the Titan identical to Samsung's ambitious smartphone, the Galaxy Note II, be assured you're not the only one. The Samsung branding, obviously is absent on the Wammy Titan. If we were to go back by just a month, we had a similar thing to say about the company's Wammy Sensation, which looked identical to Samsung's Galaxy S III. Back in December, WickedLeak had announced the Wammy Sensation for Rs 16,000. The Wammy Sensation has a 4.7-inch screen and runs on Android 4.0 Ice Cream Sandwich. The smartphone is powered by a dual-core 1.2GHz processor, has dual-SIM capabilities (2G and 3G), a 12MP rear camera that will allow for a panoramic shot upto 260 degrees and is fuelled by a 2,000 mAh battery. In addition to this, according to the official statement, the Wammy Desire has also been re-launched with an enhanced resolution model. The new model will have a resolution screen enhanced from 800 x 480 pixels to 1024 x 600 pixels screen resolution for improved user experience for watching movies, eBook reading and 2D/3D capabilities for gaming. Wammy Desire with 800 x 480 pixel resolution and Wammy Desire with 1024 x 600 pixel resolution have been priced at Rs 6,499 and Rs 6,999 respectively. 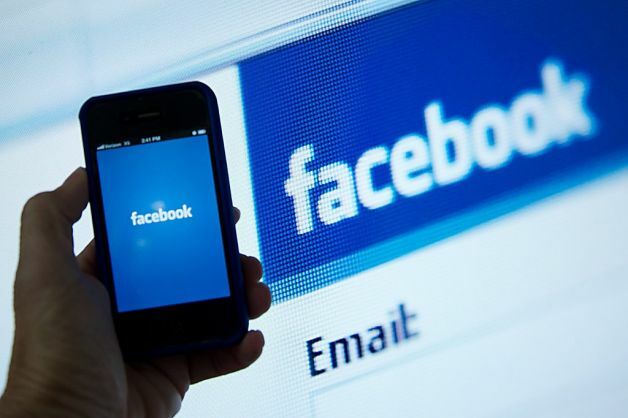 Social networking giant Facebook has rolled out its new messenger app, allowing mobile phone users without Facebook account to sign up the service with a phone number. 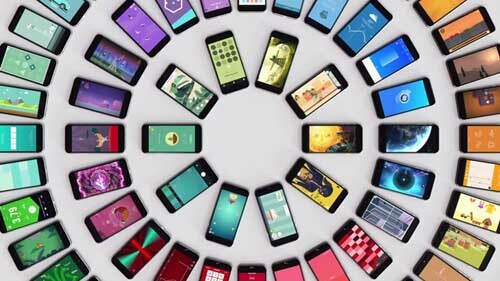 With no Facebook account and email address required, app with the new feature will be first available to users of phones running on Google's Android platform in India, Indonesia, Australia, Venezuela and South Africa. The sign up option using phone number will be rolled out globally and its version for users of Apple's iPhone as well as other smartphone platforms are also under way, said Facebook. Facebook Messenger is an instant messaging service and software application which provides text and video communication. Its mobile version was released last year for major smartphone platforms, but users need to sign up with a Facebook account. The latest move is expected to help Facebook reach a larger audience, attracting smartphone users with no Facebook account to gradually use more Facebook services. The stage is set, probably for the final developmental test-flight of one of India's longest range missiles the nuclear weapons capable Agni 4 from the Wheeler Island off the Odisha coast on Wednesday. The trial was planned for Tuesday, but recent heavy rains caused a delay in carrying out checks to various sub-subsystems of the 4,000 km range surface-to-surface missile. This will be the third trial of Agni-IV, with the first one ending in failure and the second hitting the target on bang. Hectic preparations are on at the Wheeler Island for the launch by missile technologists of the DRDO. Two naval ships are anchored near the target point in the Indian Ocean to record the terminal event. Agni 4 is expected to be inducted into the Services early next year after the completion of the developmental trials. The two stage solid fuel propelled missile is lighter than Agni-III because of the composite rocket motor casings. It is designed to carry a payload of 1,000 kg. Its re-entry vehicle is equipped with heat shield to enable the payload withstand searing temperatures of more than 3,000 degrees Celsius. The missile’s advanced ring-laser gyro based INS ensures a high degree of accuracy. 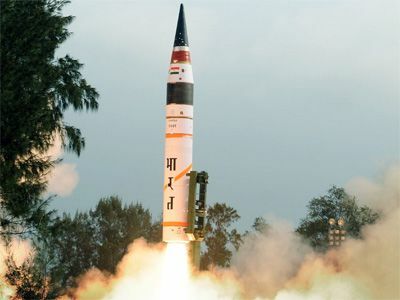 The Agni 4 trial will be followed by Agni-III's test-firing by the personnel of Strategic Forces Command on September 21. DRDO scientists are also planning to shortly conduct the first trial of the subsonic cruise missile, Nirbhay. The terrain-hugging missile, with a range of 1,000 km, could be launched from multiple platforms. A top DRDO official said the advantage with the “fast-reaction” Nirbhay was that it would be difficult for enemy radars to detect it. ఏం చేస్తే పబ్లిసిటీ వస్తుందనేది సంచలన దర్శకుడు రామ్ గోపాల్ వర్మకు బాగా తెలుసు. ఆయనకది వెన్నతో పెట్టిన విద్య. వర్మ తీసిన సినిమాలు థియేటర్లలో ఎన్ని రోజులు ఆడతాయో... అంతకంటే ఎక్కువ రోజులు మీడియాలో వర్మ సినిమా వార్తలు వస్తాయి. ఎందుకంటే... వర్మ ఎంపికచేసుకునే కథాంశాలు అటువంటివి‌. రక్త చరిత్ర, వంగవీటి, లక్ష్మీస్ ఎన్టీఆర్... వర్మ నుంచి వచ్చిన ప్రతి సినిమా ప్రేక్షకుల దృష్టిని ఆకర్షించింది. కొన్ని రోజుల క్రితం ప్రకటించిన 'కోబ్రా'తో సహా! ఈరోజు అటువంటి సినిమాను వర్మ ప్రకటించారు. సారీ సారీ... ఒక ట్వీట్ వేసి ఊరుకున్నారు. సినిమా టైటిల్... 'టైగర్ కేసీఆర్' ‌(పోస్టర్ ను బట్టి). ప్రస్తుత తెలంగాణ ముఖ్యమంత్రి కల్వకుంట్ల చంద్రశేఖరరావు బయోపిక్ ఇది. ఈ సినిమా కాప్షన్ ఏంటో తెలుసా? 'ది అగ్రస్సివ్ గాంధీ'! తెలంగాణ వాళ్లను ఆంధ్ర ప్రజలు థర్డ్ క్లాస్ పీపుల్ గా ట్రీట్ చేయడాన్ని తట్టుకోలేని కేసీఆర్.... తెలంగాణ రాష్ట్రం సాధించడానికి ఎటువంటి పోరాటం చేశాడు? 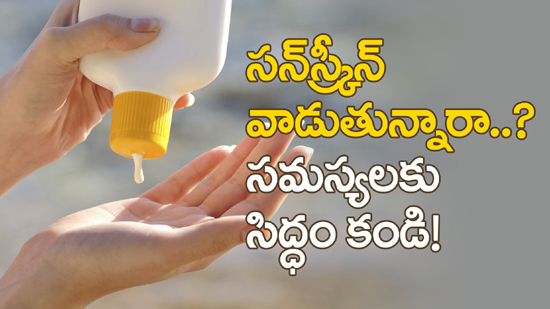 ఎలా తెలంగాణ సాధించారు? అనే కథాంశంతో ఈ సినిమా తెరకెక్కిస్తున్న ట్లు వర్మ ట్విట్టర్లో పేర్కొన్నారు. నటీనటులు, సాంకేతిక నిపుణుల వివరాలను వర్మ ప్రకటించలేదు. శశి లలిత... కోబ్రా... ఇప్పుడీ టైగర్ కేసీఆర్... 'లక్ష్మీస్ ఎన్టీఆర్' విడుదల తర్వాత తమ ప్రకటించిన సినిమాల జాబితా. వీటిలో ఏది ముందు వస్తుందో? ఏది అటక ఎక్కుతుందో? దర్శక ధీరుడు రాజమౌళి ప్రతిష్టాత్మకంగా తెరకెక్కిస్తున్న సినిమా 'ఆర్.ఆర్.ఆర్'. ఇందులో రామ్ చరణ్ ఎన్టీఆర్ హీరోగా నటిస్తున్న సంగతి తెలిసిందే. హైదరాబాద్, అహ్మదాబాద్ ఇతర ప్రదేశాల్లో హీరోల ఇంట్రడక్షన్ సీన్స్ ఇప్పటికే చిత్రీకరించారు. ఒక్క ఎన్టీఆర్ ఎంట్రీ సీన్ కి 22 కోట్ల రూపాయలు ఖర్చు పెట్టారట. యాక్షన్ ఎపిసోడ్ తో యంగ్ టైగర్ ఎంట్రీ ఇస్తాడని తెలుస్తోంది. ఆల్రెడీ ఆ సీన్ చూసిన సినిమా యూనిట్ చాలా హ్యాపీగా ఉంది. సినిమాలో కొమరం భీమ్ పాత్రలో ఎన్టీఆర్, అల్లూరి సీతారామరాజు పాత్రలో రామ్ చరణ్ నటిస్తున్నారు. అహ్మదాబాద్ షెడ్యూల్ జరుగుతున్న సమయంలో జిమ్ లో వర్కౌట్స్ చేస్తుండగా రామ్ చరణ్ కాలికి గాయమైంది. అందువల్ల, పుణెలో జరగాల్సిన షెడ్యూల్ వాయిదా పడింది. ఈ లోపు సినిమా యూనిట్ కి మరో షాక్ తగిలింది. వ్యక్తిగత కారణాల వల్ల విదేశీ భామ డైసీ ఎడ్గార్ జోన్స్ ఈ సినిమా నుంచి తప్పుకుంది. దాంతో ఎన్టీఆర్ కి కొత్త జోడిని వెతికే పనిలో రాజమౌళి పడ్డారు. 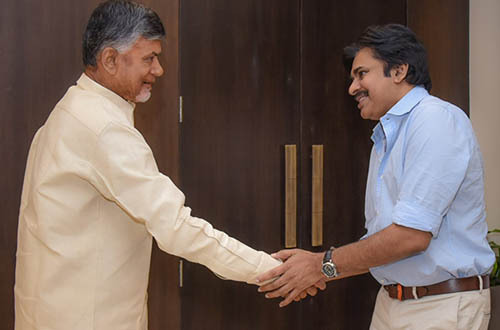 హిందీ హీరోయిన్ శ్రద్ధాదాస్, తెలుగు ప్రేక్షకులకు బాగా తెలిసిన నిత్యామీనన్ తదితరుల పేర్లు వినపడుతున్నాయి. అయితే చిత్రబృందం ఎవరిని ఖరారు చేయలేదట. 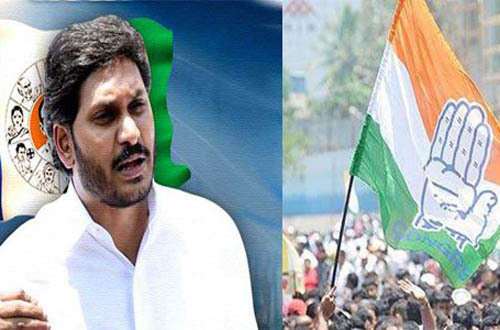 రామ్ చరణ్ గాయం నయం అయ్యే లోపు.... ‌ ఎన్టీఆర్ కి జోడి ని ఎంపిక చేసి మళ్లీ సినిమా షూటింగ్ స్టార్ట్ చేయాలనుకుంటున్నారు. నాని క్రికెట‌ర్ గా న‌టించిన చిత్రం `జెర్సీ`. 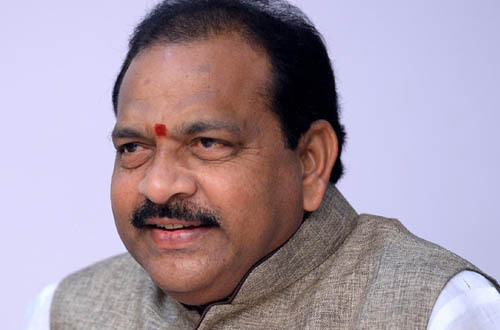 గౌత‌మ్ తిన్న‌నూరి ద‌ర్శ‌క‌త్వంలో రూపొందించిన ఈ చిత్రం ఈ నెల 19 న విడుద‌ల‌వుతోంది. సితార ఎంట‌ర్ టైన్ మెంట్స్ ప‌తాకంపై సూర్య దేవ‌ర నాగ‌వంశీ నిర్మించారు. ఈ చిత్రంలోని పాట‌ల‌కు, ట్రైల‌ర్స్ కు ఇప్ప‌టికే మంచి క్రేజ్ వ‌చ్చింది. ఈ సంద‌ర్భంగా నాని ఈ రోజు మీడియాతో ముచ్చ‌టించారు. ఆ విశేషాలు... అందుకే జెర్సీ టైటిల్ పెట్టాం... జెర్సీ అంటే క్రికెట‌ర్ యూనిఫార్మ్ అని. ప్ర‌తి స్పోర్ట్స్ మేన్ వేసుకునే యూనిఫార్మ్ ని జెర్సీ అని అంటారు. 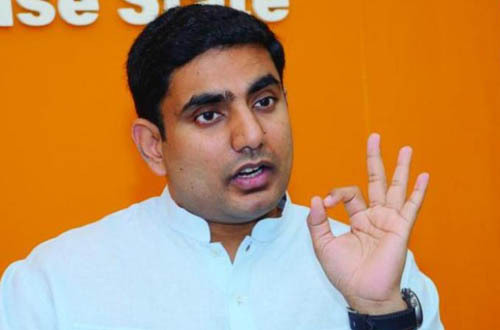 కేవ‌లం క్రికెట్ స్టోరి కాబ‌ట్టి ఈ టైటిల్ పెట్టామ‌నుకోద్దు. ఇందులో జెర్సీ టైటిల్ కు బ‌ల‌మైన కార‌ణం ఉంది. సినిమా చూస్తే క‌చ్చితంగా టైటిల్ జ‌స్టిఫికేష‌న్ ఏంటో మీకు అర్థ‌మ‌వుతుంది. 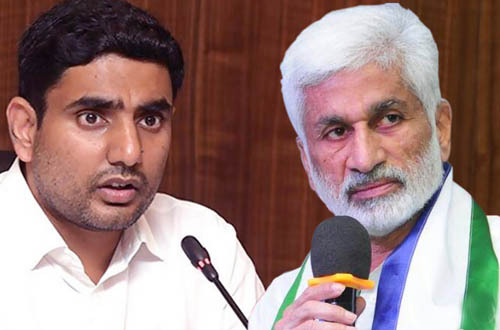 ట్రైల‌ర్ లో చాలా చెప్పాం... ఇది అర్జున్ స‌క్సెస్ ఫుల్ క్రికెట‌ర్ స్టోరీనా? లేక ఫ్ర‌స్టేట‌డ్ క్రికెట‌ర్ స్టోరీనా అంటే రెండూ కావ‌చ్చు, కాక‌పోవ‌చ్చు. ట్రైల‌ర్ లో ఇప్ప‌టికే చాలా స్టోరీ చెప్పేశాం. అర్జున్ ని లూస‌ర్ అన‌డం, త‌క్కువ చేసి మాట్లాడంలాంటివ‌న్నీ ఉంటాయి. వాటివ‌ల్ల ఫ్ర‌స్టేష‌న్ ఉంటుంది. ఆ ఫ్ర‌స్టేష‌న్ వ‌ల్ల అర్జున్ జీవితంలో ఏం జ‌రిగిందనేదే సినిమా స్టోరి. గ‌ల్లీ క్రికెట‌ర్ ని... నేను గ‌ల్లీలో క్రికెట్ ఆడేవాణ్ని. స్కూల్లో కూడా నేను లాస్ట్ బ్యాట్స్ మేన్ ని. 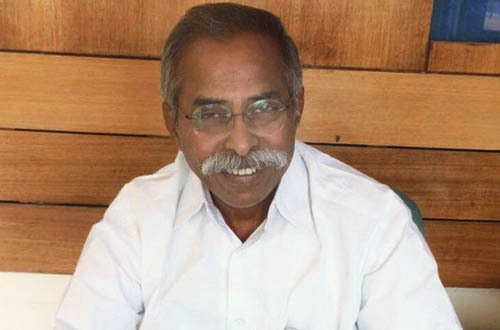 కొన్ని సార్లు నా టీమ్ లో అంద‌రూ ఓడిపోతేనో, లేకుంటే ఎవ‌రికో ఒక‌రికి దెబ్బ‌లు త‌గిలితేనో నాకు ఆడే అవ‌కాశం వ‌చ్చేది. ఆ బ్యాచ్ అన్న మాట నాది. అంతే త‌ప్ప సీరియ‌స్ గా ఎప్పుడూ ఆడ‌లేదు. 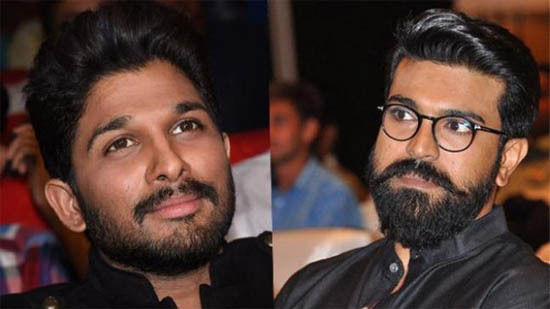 చాలా కాన్ఫిడెంట్ గా ఉన్నా... నా ప్ల‌స్ లు, మైన‌స్ లు ఏంటో నాకు బాగా తెలుసు. అందుకే నా సినిమా విష‌యంలో ఇంత కాన్ఫిడెంట్ గా ఉన్నాను త‌ప్ప ఓవ‌ర్ కాన్ఫిడెంట్ కాదు. ప్ర‌జంట్ నేను చాలా సంతృప్తితో ఉన్నా. ఒక గొప్ప సినిమా చేసాన‌నే ఫీలింగ్ ఈ సినిమాతోనే వ‌చ్చింది. ముస‌లివాడిగా అయినా న‌టిస్తా... నేను ఎటువంటి పాత్ర‌లో అయినా న‌టించ‌డానికి సిద్ద‌మే. ముస‌లివాడిగా చేయ‌మ‌న్నా చేస్తాను. ప్రాస్త‌టిక్ మేక‌ప్ వేసుకోమ‌న్నా సిద్ధంగానే ఉన్నా. న‌టుడిగా నాది కాని వ‌య‌సులో న‌టించ‌డానికి చాలా ఇష్ట‌ప‌డ‌తాను. ఎవ‌రూ జడ్జ్ చేయ‌లేదు... ల‌క్కీగా నా సినిమాలు కొన్నిసార్లు స‌క్సెస్ కాన‌ప్పుడు కూడా నా న‌ట‌న గురించి ఎవ‌రూ ఎప్పుడూ ఒక మాట అన‌లేదు. 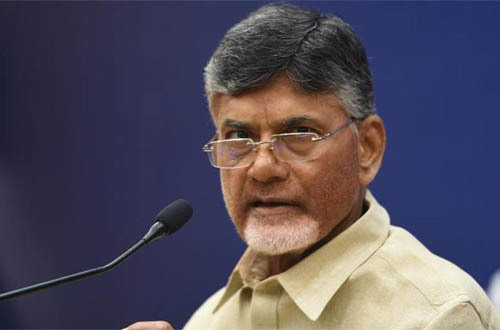 కాక‌పోతే రెండు క‌మ‌ర్షియ‌ల్ సినిమాలు చేసేట‌ప్పుడు నాని ఇక క‌మ‌ర్షియ‌లేనా అని అన్నారంతే.. అది కూడా పెద్ద జ‌డ్జిమెంట్ కాదులెండి. ఇక స్టార్ డ‌మ్ లాంటి వాటి మీద నాకు పెద్ద‌గా న‌మ్మ‌కం లేదు. 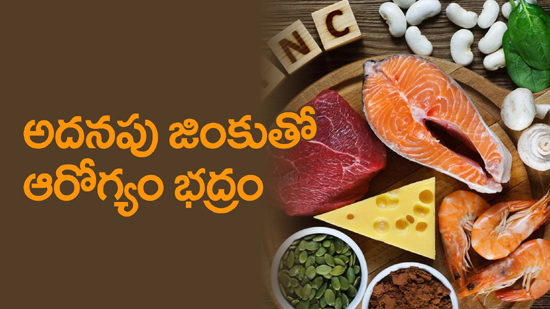 కంటెంట్ వ‌ల్లే స్టార్ డ‌మ్ వస్తుంద‌ని న‌మ్ముతా. అప్పుడు కొంచెం ప్రెజ‌ర్ ఫీల‌య్యా... సినిమా, సినిమాకు ఎద‌గ‌డం నాకు పెద్ద‌గా ప్రెజ‌ర్ ఏమీ లేదు. ఎంసీఏ త‌ర్వాత కొంచెం ప్రెజ‌ర్ ఫీల‌య్యాను. ప్ర‌జంట్ మాత్రం ఆ ప్రెజ‌ర్ లేదు. జెండా పై క‌పిరాజు, పైసా ఇలా కొన్ని సినిమాలు వ‌రుస‌గా ఫ్లాప్ అయ్యాయి. ఆ స‌మ‌యంలో ఎవ‌డే సుబ్ర‌హ్మ‌ణ్యం సినిమా చేసా. అది మంచి పేరు తీసుకొచ్చింది. నాకు న‌చ్చింది చేసుకుంటూ వెళ్తున్నా. వాటిని ఇగ్నోర్ చేస్తున్నా... ప్రారంభంలో సోష‌ల్ మీడియాలో నా పై ఏమైనా రాస్తే వాటిని చూసి కొంచెం ఫీల‌య్యేవాడిని. వాటిని త‌ల‌చుకొని తెగ బాధ‌ప‌డేవాడిని. 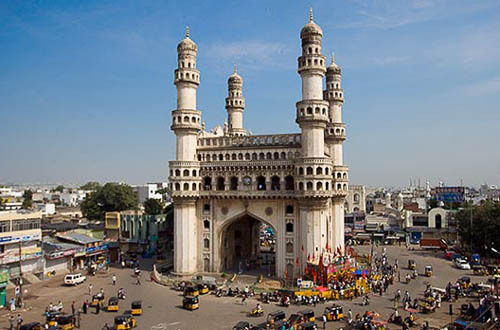 పోను పోను అంతా అల‌వాటైపోయింది. 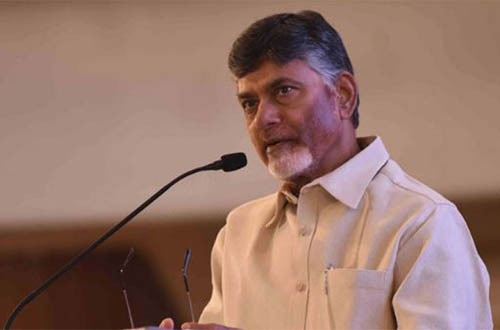 పిల్ల జ‌మీందార్ సినిమా స‌మ‌యంలో నానికి చాలా త‌ల పొగ‌రు అని రాసారు. అప్పుడు చాలా ఫీల‌య్యా. అప్పుడు అంత బాధ‌ప‌డాల్సి ఉండాల్సి కాదు అని ఇప్పుడ‌నిపిస్తోంది. రాయ‌డం వాళ్ల ధ‌ర్మం, వాటిని ప‌ట్టించుకోకుండా ఇగ్నోర్ చేయ‌డం మ ధర్మం అని ఇప్పుడు అర్థ‌మైంది. 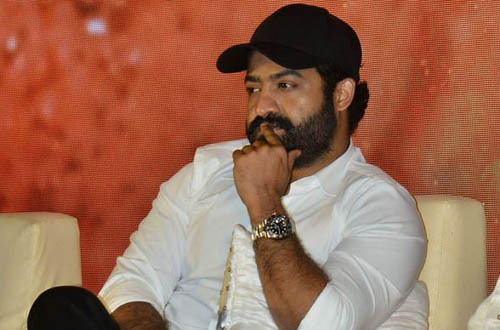 బిగ్ బాస్ తో ప్ర‌పంచం ప‌రిచ‌య‌మైంది.. మ‌నం ప్ర‌పంచానికి ప‌రిచ‌యం కావ‌డం క‌న్నా, ప్ర‌పంచానికి మ‌నం ప‌రిచ‌యం కావ‌డం ప్ర‌ధానం. బిగ్ బాస్ తో నాకు ప్ర‌పంచం ప‌రిచ‌య‌మైంది. ఇక బిగ్ బాస్ చేసేట‌ప్ప‌డు ఎక్స్ట్రా బ‌ర్దెన్ లా ఎప్పుడు ఫీల‌వ‌లేదు. కాక‌పోతే ఒక్కో ఎపిసోడ్ అక్క‌డ జ‌రుగుతున్న కొద్దీ ఇక్క‌డ సోష‌ల్ మీడియాలో దాని ర‌ఫ్లెక్ష‌న్ ఉండేది. 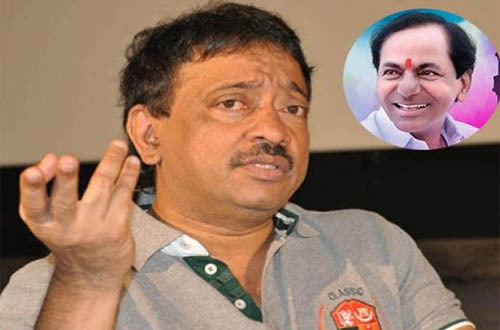 షోల్ హీట్ పెరిగే కొద్దీ... ఇక్క‌డ సోష‌ల్ మీడియాలో హీట్ పెరిగేది. ఇది నా ఆఖ‌రి ఎపిసోడ్ అని ఎప్పుడు ట్వీట్ చేసానో, ఆ త‌ర్వాత నాని అన్నా ప్లీజ్ క‌మ్ బ్యాక్ అంటూ చాలా మంది అడిగేవారు. స్మార్ట్ఫోన్లు అందుబాటులోకి వచ్చి పాతికేళ్లు కూడా నిండి ఉండదు. కానీ వచ్చీరాగానే అవి మన జీవితాలని ఆక్రమించేసుకున్నాయి. దానికి తోడు ఇంటర్నెట్ కూడా చవకగా మారిపోవడంతో... చేతిలో ఓ స్మార్ట్ఫోన్ ఉంటే చాలు, ప్రపంచం మనల్ని వెలివేసినా ఫర్వాలేదు అనే ధైర్యం మనది. కానీ అదే స్మార్ట్ ఫోన్ కొంపలు ముంచుతోంది. కంటిజబ్బులు, నిద్రలేమిలాంటి సమస్యలని తెచ్చిపెడుతోంది. అసలు స్మార్ట్ఫోన్ పక్కన ఉంటే మన మెదడు కూడా సరిగా పనిచేయదంటూ ఓ పరిశోధన వెలుగులోకి వచ్చింది. అదేమిటో మీరే చూడండి... టెక్సాస్ విశ్వవిద్యాలయానికి చెందిన కొందరు పరిశోధకులు, మన మెదడు మీద స్మార్ట్ఫోన్ పనితీరుని విశ్లేషించాలనుకున్నారు. అందుకోసం వారు ఓ 800 మంది ఫోన్ వాడకందారులను పిలిపించారు. వీరిని ఓ కంప్యూటర్ ముందు కూర్చోబెట్టి కొన్ని చిన్న చిన్న సమస్యలకు జవాబులను అందించమని చెప్పారు. అప్పటికప్పుడు కాస్త మెదడుని పెడితే... ఎవరైనా సులువుగా జవాబు చెప్పగలిగే ప్రశ్నలే అవన్నీ! అభ్యర్థుల స్మార్ట్ఫోన్ పక్కగదిలో ఉండటమో, టేబుల్ మీదే ఉండటమో, జేబులోనే ఉండటమో బట్టి వారు జవాబులని ఇచ్చే సామర్థ్యంలో తేడా ఉందేమో గమనించారు. ఈ పరిశీలనలో ఖచ్చితమైన తేడాలు కనిపించాయి. పక్కగదిలో ఫోన్ పెట్టేసినవారు ఇతరులకంటే చక్కగా జవాబులు రాశారట. ఫోన్ అభ్యర్థికి ఎంత దగ్గరగా ఉంటే, సమస్య మీద అతని ఏకాగ్రత అంతగా బలహీనపడినట్లు గ్రహించారు. ఫోన్ సైలెంటులో ఉందా, తిరగేసి ఉందా లాంటి పరిస్థితులతో సంబంధం లేకుండా ఈ ఫలితాలు కనిపించాయి. ఈ ప్రయోగానికి పొడిగింపుగా మరో సందర్భాన్ని సృష్టించారు పరిశోధకులు. ఈసారి అభ్యర్థులను- ‘ఫోన్తో మీ అనుబంధం ఎలా ఉంటుంది?’ అని ప్రశ్నించారు. కొందరు అభ్యర్థులు ‘అబ్బే మేము ఫోన్ లేకుండా నిమిషం కూడా బతకలేము,’ అని చెప్పారు. మరికొందరు ‘ఫోన్ కేవలం అవసరం కోసమే! అదే మా సర్వస్వం కాదు. దానికి పెద్దగా సమయాన్ని కేటాయించం,’ అని తేల్చారు. వీళ్లందరి మీదా పైన పేర్కొన్ని ప్రయోగాన్నే అమలుచేశారు. ఎవరైతే ఫోన్ లేకుండా గడపలేమని అన్నారో... వారు కంప్యూటర్లో కనిపించిని చిన్నిపాటి సమస్యలకి కూడా జవాబుని అందించలేకపోయారట. ఏతావాతా తేలిందేమిటంటే, ఫోన్ దగ్గరలో ఉంటే చాలు- ఏదన్నా కాల్ వస్తుందేమో, వాట్సప్ మెసేజి వచ్చిందేమో, చార్జింగ్ ఉదో లేదో, భార్యకి కాల్ చేయాలి కదా, ఆన్లైన్లో డబ్బులు పంపించాలిగా లాంటి సవాలక్ష సందేశాలు మనసుని గిలిపెడుతూ ఉంటాయి. వాటిని పట్టించుకోకుండా పనిచేసుకోవాలి అని మనసుని బలవంతపెట్టిన కొద్దీ మన ఏకాగ్రత మరింతగా చెదిరిపోతుంది. ఫలితం! 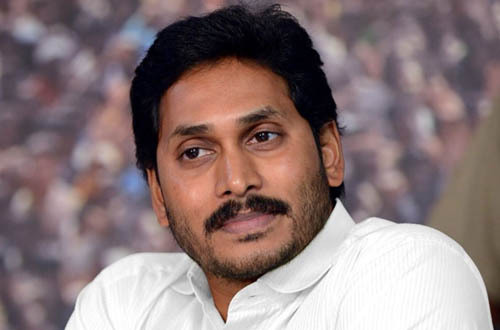 మన అవసరం కోసం కనిపెట్టిన స్మార్ట్ఫోన్, జీవితాలను కమ్ముకుని ఉంటోంది. - నిర్జర. ఏపీ సీఎం చంద్రబాబు ఎన్నికల ప్రవర్తనా నియమావళిని ఉల్లంఘించారంటూ ఎన్నికల సంఘం నోటీసులు జారీ చేసింది. ఎన్నికల కోడ్ అమల్లో ఉన్న సమయంలో సీఎం చంద్రబాబు పోలవరం, సీఆర్డీఏ మీద సమీక్ష నిర్వహించడం, వీడియో కాన్ఫరెన్స్ నిర్వహించడాన్ని ఎన్నికల కమిషన్ తప్పుపట్టింది. దీంతో రాష్ట్రంలో శాంతిభద్రతల మీద నిర్వహించాల్సిన హోం శాఖ సమీక్షను చంద్రబాబు రద్దు చేశారు. పోలింగ్ తర్వాత మళ్లీ పాలనా పరమైన వ్యవహారాలపై దృష్టి పెడతానని చంద్రబాబు తెలిపారు. 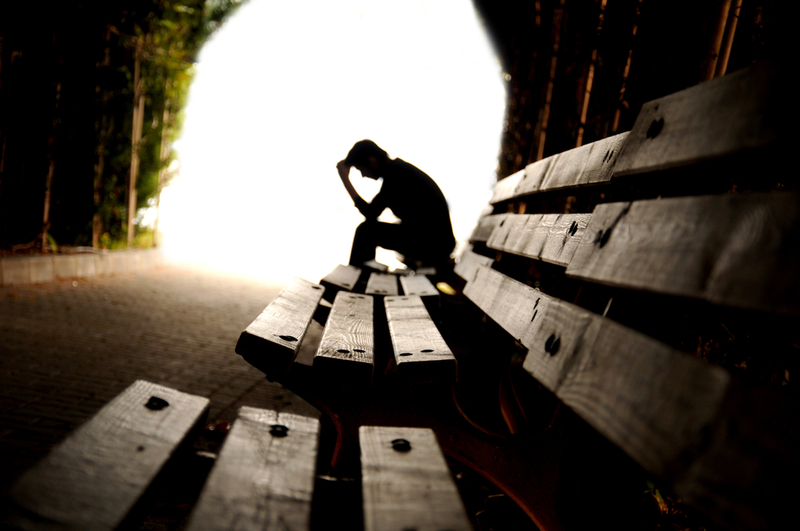 పోలవరం మీద, రాష్ట్రంలో తాగునీటి అంశం మీద చంద్రబాబు సమీక్ష నిరవహించారు. ఎన్నికల కోడ్ అమల్లో ఉన్న సమయంలో సీఎం చంద్రబాబు సమీక్ష నిర్వహించడంపై పలువురు అభ్యంతరం తెలిపారు. తాజాగా ఈసీ కూడా సమీక్షలు, వీడియో కాన్ఫరెన్సులు నిర్వహించరాదని స్పష్టం చేసింది. టీడీపీ అధినేత, ఏపీ సీఎం చంద్రబాబు ఈనెల 22న రాష్ట్ర రాజధాని అమరావతిలో తమ పార్టీకి చెందిన 175 మంది ఎమ్మెల్యే అభ్యర్థులు, 25 మంది ఎంపీ అభ్యర్థులతో ప్రత్యేకంగా సమావేశం కావాలని నిర్ణయించుకున్నారు. తాజాగా టీడీపీ అభ్యర్థులతో టెలీకాన్ఫరెన్స్ లో మాట్లాడిన చంద్రబాబు.. పోలింగ్ సందర్భంగా జరిగిన పరిణామాలపై వారి అభిప్రాయాలు అడిగి తెలుసుకున్నారు. ఈ సందర్భంగా పలువురు అభ్యర్థులు చంద్రబాబుకు ఎన్నికల సంఘం తీరుపై ఫిర్యాదులు చేశారు. దీనిపై చంద్రబాబు స్పందిస్తూ, ఈసీపై తమ పోరాటం ఆ అవకతవకలపైనే అని స్పష్టం చేశారు. అలాగే అమరావతిలో జరిగే సమావేశానికి పార్టీ అభ్యర్థులందరూ హాజరుకావాలని చంద్రబాబు ప్రత్యేకంగా కోరారు. కాంగ్రెస్ అధ్యక్షుడు రాహుల్ గాంధీ.. ప్రముఖ పారిశ్రామికవేత్త అనిల్ అంబానీపై పలు సందర్భాల్లో విమర్శలు చేశారు. ముఖ్యంగా రాఫెల్ డీల్ విషయంలో ప్రధాని మోదీ.. అంబానీకి లబ్ది చేకూరేలా వ్యవహరించారంటూ రాహుల్ పదేపదే చెప్తుంటారు. అయితే ఒకవైపు కాంగ్రెస్ అధ్యక్షుడు అనిల్ అంబానీపై విమర్శలు చేస్తుంటే.. ఆయన సోదరుడు ముకేశ్ అంబానీ మాత్రం ఎన్నికల్లో కాంగ్రెస్ అభ్యర్థికి తన మద్దతు తెలిపి ఆశ్చర్యం కలిగిస్తున్నారు. లోక్ సభ ఎన్నికల్లో దక్షిణ ముంబై నుంచి కాంగ్రెస్ అభ్యర్థిగా పోటీ చేస్తున్న మిలింద్ దేవరా ఒక వీడియోని ట్వీట్ చేశారు. ఈ వీడియోలో చిరు వ్యాపారుల నుంచి పారిశ్రామికవేత్తలు వరకు మిలింద్ దేవరాకు తమ మద్దతు తెలియజేశారు. మిలింద్ దేవరా ట్వీట్ చేసిన వీడియోలో రిలయన్స్ ఇండస్ట్రీస్ చైర్మన్ ముకేష్ అంబానీ, కోటక్ మహీంద్ర గ్రూప్ యజమాని ఉదయ్ కోటక్ కూడా తమ మద్దతు తెలియజేశారు. వీడియో ట్వీట్ చేస్తూ మిలింద్ దేవరా దక్షిణ ముంబై అంటే బిజినెస్ అని రాశారు. దాంతో పాటే ప్రజలు నన్ను గెలిపిస్తే యువకులకు ఉద్యోగావకాశాలు తెస్తాను. యువతకు ఉద్యోగాలివ్వడం నా మొదటి ప్రాధాన్యత అని పేర్కొన్నారు. ఈ వీడియోలో ముకేష్ అంబానీ మాట్లాడుతూ.. దక్షిణ ముంబైకి మిలింద్ దేవరా సరైన వ్యక్తి అన్నారు. అతను పదేళ్లుగా ఇక్కడి నుంచి ఎంపీగా ఉన్నాడని అంబానీ చెప్పారు. మిలింద్ కు అనేక అంశాలపై మంచి అవగాహన ఉందని నేను నమ్ముతున్నాను.. అతను యువతకు ఉద్యోగావకాశాలు చూపగలడు అని అన్నారు. ముకేష్ అంబానీ, మిలింద్ దేవరా కుటుంబాల మధ్య చాలా కాలంగా మంచి సంబంధాలు ఉన్నాయి. బహుశా ఇదే కారణంగా ముకేష్ అతని ప్రచార వీడియోలో కనిపించి ఉండొచ్చని తెలుస్తోంది. ఎండాకాలం మొదలైందంటే చాలు... కూల్డ్రింక్లకీ, పళ్లరసాలకీ డిమాండ్ పెరిగిపోతుంది. ఇళ్లలో ఫ్రిజ్లన్నీ సీసాలతో నిండిపోతాయి. కానీ ఎన్ని కూల్డ్రింక్స్ తాగినా జేబులు ఖాళీ అవుతాయేమో కానీ దాహం మాత్రం తీరదు. అందుకే కూల్డ్రింక్స్ పక్కన పెట్టి కొబ్బరిబోండాన్ని ఓ పట్టు పట్టమంటున్నారు నిపుణులు. దానికి బోలెడు కారణాలు చూపిస్తున్నారు కూడా! - శీతల పానీయాలు నిలవ ఉన్నా, సీసా మూతలు తుప్పు పట్టినా లేనిపోని రోగాలు వచ్చే అవకాశం ఉంది. కానీ కొబ్బరినీళ్లు sterile waterతో సమానం. అంటే వీటిలో సూక్ష్మక్రిములు ఇంచుమించుగా కనిపించవన్నమాట. - కొబ్బరినీటిలో సోడియం, పొటాషియం, మెగ్నీషియం ఉంటాయి. ఇలాంటి ఖనిజాలని మనం Electrolytes అంటాము. గుండె కొట్టుకోవడం, రక్తపోటు నియంత్రణలో ఉండటం, కండరాలు పనిచేయడం వంటి ముఖ్యమైన జీవచర్యలకు ఇవి చాలా అవసరం. అందుకే శరీరం నిస్సత్తువుగా ఉన్నప్పుడు కానీ, అనారోగ్యంతో బాధపడుతున్నప్పుడు కానీ కొబ్బరినీళ్లు తాగించమని చెబుతుంటారు. ఒక్కమాటలో చెప్పాలంటే ఎలక్ట్రాల్ పౌడర్ వంటి మందులు ఒంటికి ఎంత ఉపయోగపడతాయో... కొబ్బరినీరు దాదాపు అంతే ఉపయోగపడతాయి. - ఎండాకాలం చాలామందిని వేధించే సమస్య తలనొప్పి. ఎండ తీక్షణత చేతనో, ఒంట్లో నీరు తగ్గిపోవడం చేతనో... ఈ కాలంలో తలనొప్పి తరచూ పలకరిస్తూ ఉంటుంది. ముఖ్యంగా మైగ్రేన్లతో బాధడేవారికి ఎండాకాలం నరకం చూపిస్తుంది. కొబ్బరినీరు ఈ తలనొప్పికి దివ్యౌషధంగా పనిచేస్తాయని చెబుతున్నారు. కొబ్బరినీరు ఒంట్లోని తేమని భర్తీ చేస్తుంది. పైగా ఇందులో ఉండే మెగ్నీషియం తలనొప్పి తీవ్రతని తగ్గిస్తుంది. - మధుమేహంతో బాధపడేవారు దాహం తీరేందుకు పళ్లరసాలు, శీతల పానీయాలు తీసుకోవడం వల్ల అసలుకే మోసం వస్తుంది. కొబ్బరినీటితో ఈ ప్రమాదం లేకపోగా... ఇందులో ఉండే అమినో యాసిడ్స్ వల్ల రక్తంలో చక్కెర నిల్వలు తగ్గే అవకాశం ఉందని భావిస్తున్నారు. - కిడ్నీలో రాళ్లతో బాధపడటం ఈ రోజుల్లో అతి సహజంగా మారిపోయింది. వీటిలో ఎక్కువశాతం కాల్షియం, ఆక్సిలేట్ వంటి పదార్థాలతో ఏర్పడతాయి. ఇలా కిడ్నీ లేదా మూత్రాశయంలో రాళ్లు ఏర్పడకుండా చూడటంలో కొబ్బరినీరు పనిచేస్తుందని తేలింది. - ఎండాకాలంలో విరేచనాలు సర్వసాధారణం. వీటివల్ల శరీరం డీహైడ్రేషన్కు లోనవుతుంది. శరీరం కోల్పోయిన నీటిని తిరిగి భర్తీ చేసేందుకు కొబ్బరినీరు ఉపయోగపడుతుంది. WHO సంస్థ సూచించే ORS నీటితో సమానంగా కొబ్బరినీరు పనిచేస్తుందని చెబుతారు. - కొబ్బరినీటిలో పొటాషియం ఎక్కువగానూ, సోడియం తక్కువగానూ ఉంటాయి. రక్తపోటుని అదుపులో ఉంచడంలో ఈ నిష్పత్తి చాలా ప్రభావం చూపుతుంది. అందుకే కొబ్బరినీరు తాగేవారిలో రక్తపోటు తగ్గుతుందని కొన్ని పరిశోధనలు నిరూపించాయి. ఒక్కమాటలో చెప్పాలంటే... ఖరీదైన స్పోర్ట్స్ డ్రింక్స్కంటే కూడా కొబ్బరినీరే ఎక్కువ ఉపయోగం అని వైద్యులు సైతం తేల్చేశారు. మరింకెందుకాలస్యం... దాహం వస్తే కొబ్బరినీటికే ఓటు వేద్దాం. - నిర్జర.